Spring is nearly giving way to summer and that means one thing: enjoying the garden more when the sun shines! 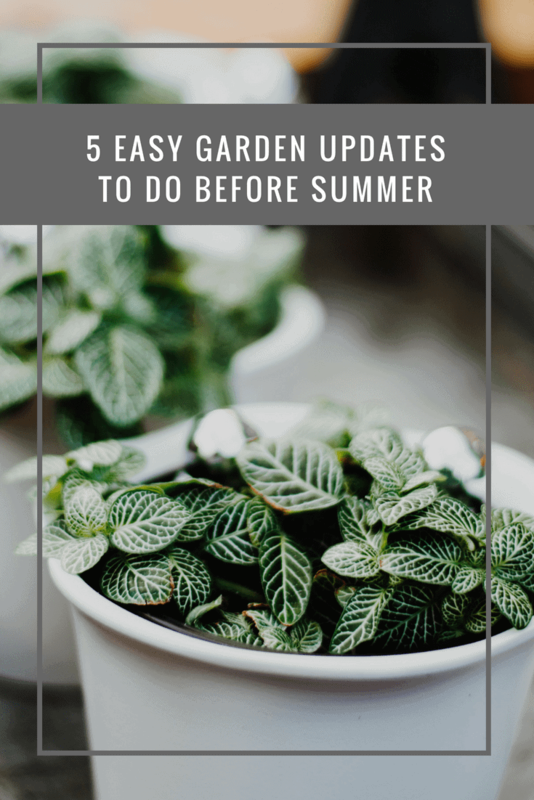 You don’t want to spend all summer getting the garden in great shape – take the chance now to make these five easy garden updates. Why, oh why, do we perch precariously on plastic chairs summer after summer? Cheap and practical they may have been, but it is time to ditch the plastic chair and the wonky dining table and opt for classic dining set instead. Spring is the time to buy a few tins of your favourite garden stain and get the paintbrush out. 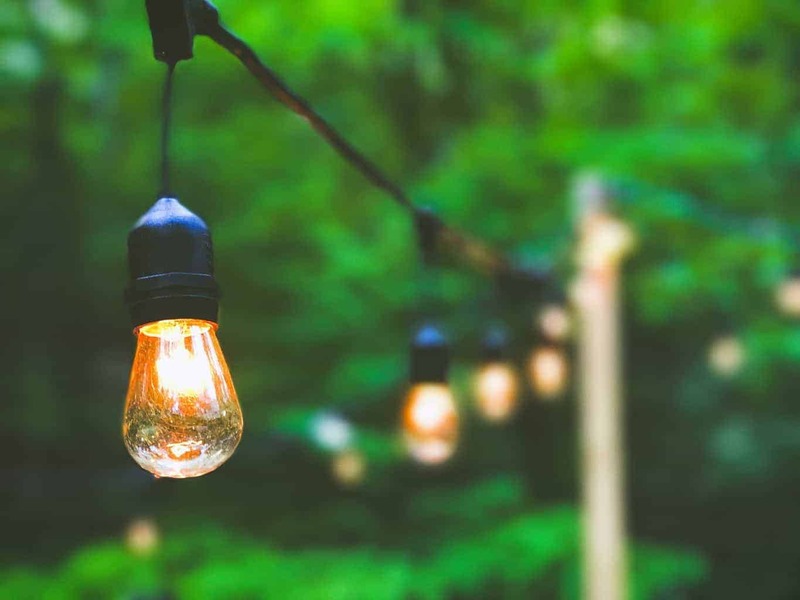 Keep an eye on the weather forecast choosing a day to paint or stain the decking, wooden garden furniture or the shed on a dry day and one that is forecast to be followed by another dry day or two. Before you make a start, de-clutter the garden and have a good tidy up too. Wash down decking and patio, as well as giving your garden furniture and any stored items a good wash down too. Allow items to dry naturally on a breezy day rather than standing in direct sunlight. Take your time painting and staining as the extra layer of protection and nourishment will be welcomed by wooden items such as wood decking and balustrades. Just like an interior room, a stylish garden benefits from a focal point. From a beautiful cascading waterfall to a tasteful sculpture, there are many ways you can do this. Form – When a room or garden looks flat, it is usually because there is too much uniformity between key items. In other words, vary the height level with by adding details such as cluster colourful pots together but have them in the same style but varying in height. Colour – Whilst colour is fabulous in the garden – that’s what garden are all about! – too many shades and tones stop it looking coherent and more chaotic. Choose one or two colour for pots and other details, sticking with this colour but varying the shades. The garden should be enjoyed for as long as possible from the first hints of spring warmth right through summer until the cooler, but gloriously colourful evenings of autumn. If you can, squeeze an hour or two in winter, huddled around the fire pit. And it should be a space that you enjoy late into the evening. Lighting is, therefore, key to creating a space that is not only practical but romantic too. Better still, it doesn’t come with a bill from your local electrician as there are many solar powered options, from pretty string lights to spotlights and security lights too. A riot of colour – plant reds, oranges and yellows in very sunny spots, keeping cooler shades of flowers – the pinks, whites and blues – for a shadier spot. 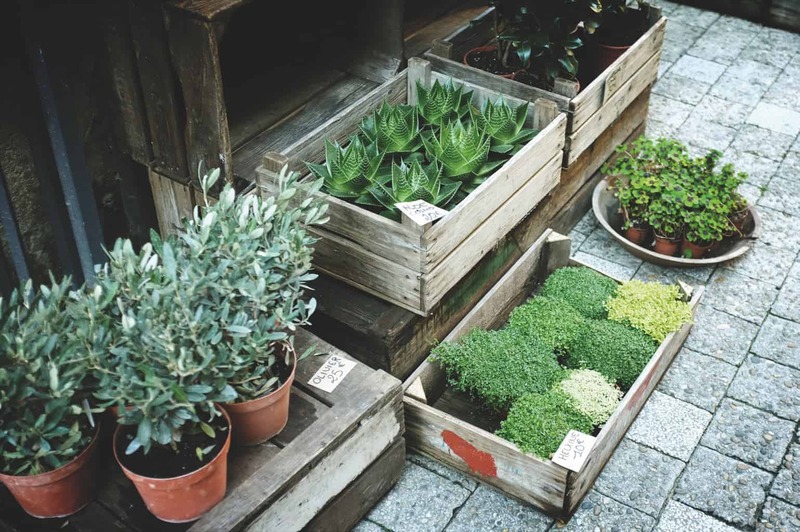 From shrubs to bedding plants, set yourself a budget for summer flowers and then nip down to your local plant nursery for trays and pots of flowers. Rattan Direct has been helping customers to enjoy their gardens throughout all four seasons for many years now. From rattan garden dining sets to garden sofas and loungers, they have you need to transform your outdoor space. We have some fun things planned for our garden this year, just need to find the time to get Simon out there to actually do them!